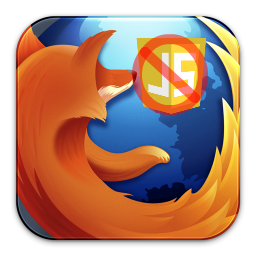 The latest Firefox version 23 has been released and it is on news for a lot of reasons. 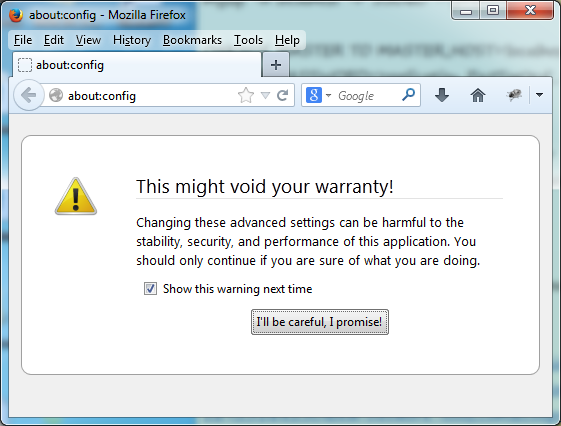 It is still possible to do this by playing with the internals of Firefox 23 so lets do it like a pro. 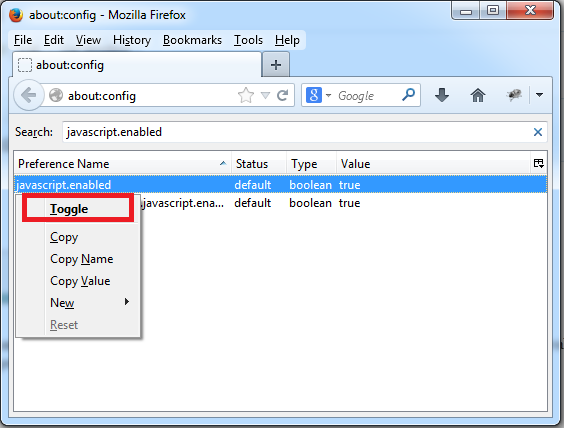 Open a new tab in Firefox and type about:config in the address bar and press enter. You’ll see warning as follows. This is not to be taken lightly as all other “Terms and conditions” and “I agree” forms you’d encountered throughout your life. Modifying a wrong value here can cause unexpected problems. Click the “I’ll be careful, I promise” button and be careful. So disabling it would mean no youtube videos, no Facebook news feed updates without manually refreshing the page, no user comments on half of the websites.